Before i explain about the spaces in the scroll, lets review the stories. Jacob has been sent to Haran to find a wife by Issac and because Rivka is told through Ruach HaKodesh (translates as Holy Spirit and refers to a level of consciousness just below the level called Prophesy) that Esav plans to kill Jacob. So why does Jacob go to Haran? He goes for his own reasons. On a spiritual level Jacob is growing into his true level of spirituality. He is completing the Tikune assigned to him before his birth. He receives a dream in that place! What place? HaMakom the word we translate as that place is a code word for God. There are midrashim on this verse that explain that Jacob went past the place where his father was bound as a sacrifice and did not stop to say a blessing for a miracle. Jacob, upon realizing this fact, stopped and his desire for this place brought the energy of that place to him. This is where he slept, and received his dream. We also have the vow relating to tithing and we also learn from these midrashim the spiritual laws relating to consciousness. Then Jacob meets Rachel at the well. We learn about her sister Leah and the match to be between Leah and Esav (from a midrash) that never happens. We learn about the arrangement with Lavan regarding the potential marriage. 7 years of labor for a wife. Then Jacob accepts another 7 years of labor as the effect of being fooled by Lavan. On the physical level this is how Jacob ends up with 4 wives, Rachel,Lea, Bilha and Zilpa (see the midrashim). On another level these 4 women represent the 4 worlds to Jacobs level of Tipheret. Of course Jacob only waited 1 extra week before his marriage to Rachel. He just worked the 7 years. Then he spent 6 years becoming rich as the discussion about the rings, speckled, and spotted animals relate. There is also the birth of 11 sons, 1 or 12 daughters depending on the Midrash, and the conception of the last of the 12 sons which must be born in Israel. The question is asked why? Without one of the Tribes being born in Israel there would be no true inner connection between the Jewish People and the Land of Israel which is definitely part of God's plan. There is not enough time or space in this email to fully explain this relationship. I hope to do so within my blog Bezrat Hashem. Of course, the hearing of these births (Listening to the Torah Reading and meditating on the Letters of the Months and Signs) allows us to take control over the Astrological signs that the 12 sons represent as chariots to these astrological signs and months of the years. (Chariot is the Hebrew word Merkava. It represents a human being who manifests the spiritual concept in our physical world. Therefore the human being becomes a channel to help others become connected to and take control of the particular spiritual consciousness.) I have explained the concept of control in earlier emails and Bezrat HaShem will do so on the Yeshshem blog as well. There is also the description of the trip home including Jacob causing the death of Rachel by not guarding his words. Now we can understand why there is only 1 space in the scroll and that is between the end of Vayeitzei and the beginning of the next Parasha Vayishlach. What do we learn from the fact that there is no space in the whole 148 verses of Vayeitzei? This is teaching us a very important spiritual lesson. This teaching is connected to the Astrological fact that Vayeitzei is always the first Shabbat in the month of Kislev. Kislev is the month of miracles as evidenced by the Holiday of Chanuka being at its end. When we permute and evaluate the letters making up the name Kislev - Caf Samek Lamed Vav, we can understand the the idea of a miracle relates to the physical world. The Letters Samek Lamed spell the word that translates as basket. The Caf at the beginning means "like" and the Vav at the end means "his". "Like his basket" means the physical world. Spiritual world do not need miracles because they are consistant with the plan of God. Our physical world needs miracles because we are allowed to make mistakes and it sometimes takes miracles to bring the world back into line with the plan of God. There is no space in the scroll because all aspects of this story relate to the control of the physical world. To take control of the physical world we need to have the right consciousness (that of sharing) which is related to Jacob's dream of the Ladder between earth and heaven. 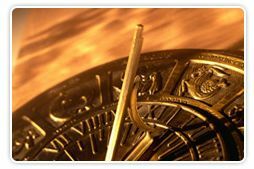 To take control of the physical world, we need to have control over the astrological signs. To have the control of the physical world we need to develop the understanding and manipulation of the DNA in our world. (DNA in our world is the Hebrew Letters) That is what the Zohar explains in a section given the label Sitrei Torah or Secrets of the Torah. In that section the rings, speckled, and spotted relate to DNA of our world and to the creative process of the Tree of Life as taught by the "Writings of the ARI" - Rabbi Issac Luria. There is no need for a space in this Parasha because God is always available but conceals himself in the physical world. We do this spiritual work in the physical world and HaShem supports and assists us while being concealed. By Hearing this reading of 148 verses, we have the potential to take control of our lives in our world with both miracles and natural order. All we need is the consciousness that the statement you just read is absolute truth. This is confirmed by the following relationships established by the Gematria of 148. 1. Pesach spelled Pey Samek Chet which translates as both the Holiday of Freedom and the phrase skipping over. 2. Netsach spelled Noon Tzadi Chet which is one of the 10 Spherot translated as eternal victory. 3. Benai Elohim which is translated as "children of God" and is also a level of consciousness that we can attain when we learn to control the physical world. One final discussion, the last word in this Parasha is Mahanaim and is the name given by Jacob to the place where Lavan and he settled their conflicts. The Gematria of this word is 148 and is usually translated "camp". By permutations it can be seen as "from the Hidden Wisdom of the Torah". This confirms the spiritual teaching that when someone goes outside (first word of the portion is Vayeitzei- English is "going out") of their comfort zone (working on themsleves) they receive the Hidden Wisdom of the Torah.